Then I start in on some serious inking. I usually will do a whole panel at a time, though frequently I’ll just ink the figures in several panels then go back and do all the backgrounds at once. In this case, The environment in the first two panels was pretty well-integrated with the figures, so I inked that all at once. But there is some more background in panel 2 that isn’t done yet. 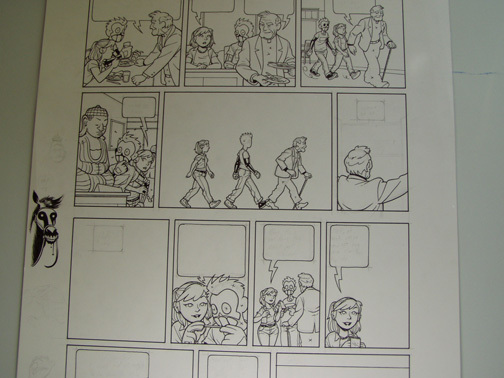 You’ll note I haven’t even started pencilling the background in panel five. More inking. I ink the fun stuff first, of course. No delayed gratification for me! 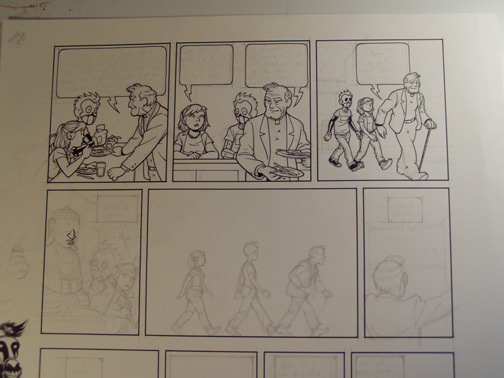 I wish I’d taken a picture of this page before I inked that background in panel five. You can see that the remaining backgrounds in panels two and three are finished now, too. I’ve also gone in with a ruler and reference and pencilled in the cabinet in panel six. 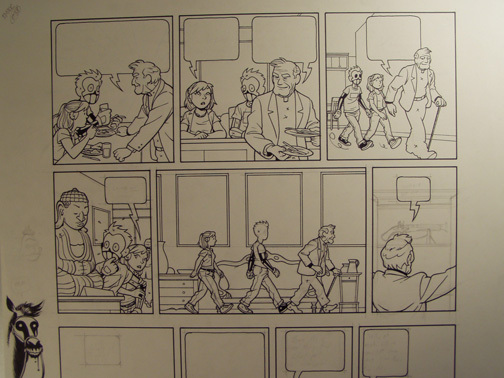 A closeup on the pencilled background of panel six. I inked in the balloon before drawing the background so I’d know exactly where it was. Presenting the extremely accurate reference for the pistol in this sequence. Jon found it at a dollar store and thought I might be able to use it. I promptly broke the spring inside and it doesn’t work anymore. But it’s still decent reference! 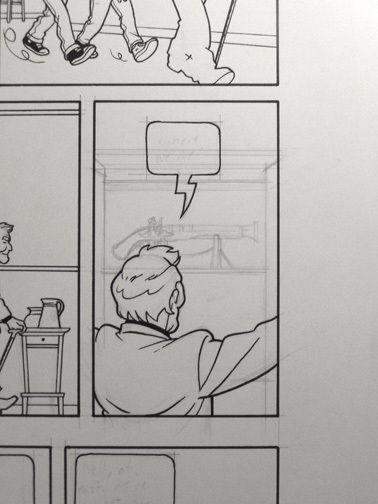 Once I got the gun out, I was also able to start work on panel seven, which I hadn’t started at this point. 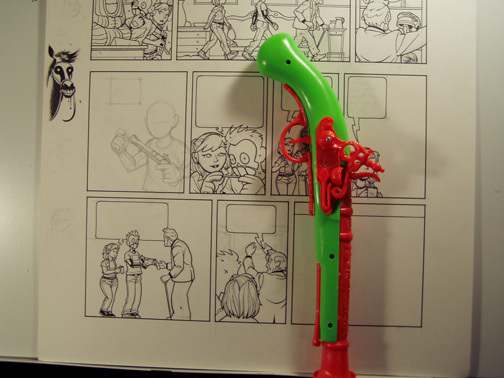 You can see that I’ve started roughing in the background in panel twelve, too.